We are halfway through the year, but one thing that will be associated with 2015 will be the rush for WiFi. It seems like a number of these internet providers now want to tap into the unavoidable mobile internet market. There are a lot of positives from this. There’s a renewed competition in an area that affects broadband provision for the majority of its users, we are seeing product improvements that cater for folks like me that can only part with $1 a time for very fast internet and of course there are those price wars. But it would be even better if the government jumped in and subsidised WiFi, or paid for it entirely. Internet is after all, a utility, and other countries are now looking into that sort of arrangement. Look at South Africa as an example. The South African province of Tshwane recently introduced free WiFi on its city buses. The free on board WiFi comes at a speed of up to 100 Mbps. The project started in December 2014 and has had more than 200 000 unique users . The Zimbabwean government is yet to introduce internet connectivity initiatives that bring free WiFi to citizens. It’s the sort of project that a local start up called Saisai is involved in, trying to fill the void left by the government. Saisai wants to offer free WiFi throughout areas that have latent broadband resources, including at local bus local termini in certain areas. it relies on advertisers to pay ISPs for the connectivity. Our state owned bus service, ZUPCO, is never mentioned with words like innovative, successful and profitable in the same breath. It was usurped by the kombi revolution ages ago and has become less and less visible in any discussions on urban transport. Perhaps if it got involved in a similar WiFi project things could be different? Assuming that that isn’t viable, perhaps free WiFi service provided at Copacabana or Sakubva terminus in Mutare along with free WiFi provided in registered public transport operators? I wouldn’t know what would work and what wouldn’t here, so perhaps the guys well versed in network rollout might share an expert opinion here. The important role of the internet in empowering people can’t be disputed. It is a driving force of a social and business lives. However, it still remains an expensive service in Zimbabwe. People can cheaply access Facebook and WhatsApp but the true power of age the internet lies in other products it can offer. Beyond WhatsApp and Facebook , the internet is a resource people can use to empower themselves. they can learn how to make particular product, acquire a certain skill and also market and sell their products. Most of these activities are data intensive. To encourage people to fully utilize the power of internet, the government should help bring free WiFi to the people. 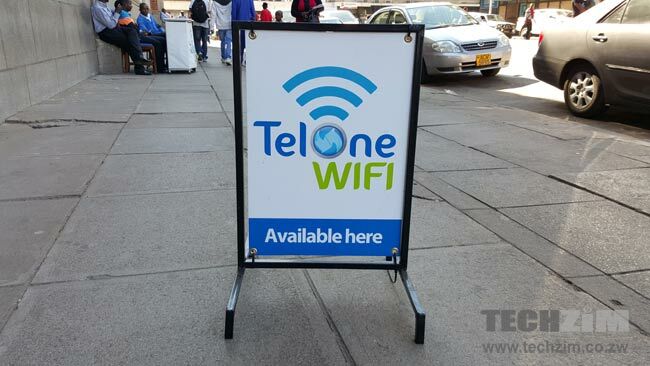 There has been a lot of fuss about public WiFi hot spots that has been put in place in various cities in Zimbabwe. The public WiFi hot spots bring internet access to a lot of people. Unfortunately, they fail to address the high cost of internet in Zimbabwe. Users still have to pay to use the public WiFi. Maybe WiFi on ZUPCO or on kombis could be our salvation and help make some dreams a reality even earlier than we expected? Free is wrong word to use! There is nothing free. Would you have free wifi or free health service from gvt? What lm saying is that it can be ‘free’ for you but gvt have to pay for for infrastructure, power, techinicians etc to keep it running. Now our gvt hav run out of source funds how are they going to pay for all that. Taxing everything seems to be the only way our gvt seems to be good at. Having said that, because they cannot tax that, l bet to you it will never see the light of the day. There is already wifi at sakubva long bus terminus thats to telone! NON RETURN TO ZERO (NRZ)! Imagine travelling from Bulawayo to Harare by train with free WIFI! SMASHING! Cliff, i really value ‘n respect ur opinion a lot, bt considering the state in which our gvrt is in…i wld say tht nver gonna happen anytym soon. in fact, its a hunt serves no purpose.